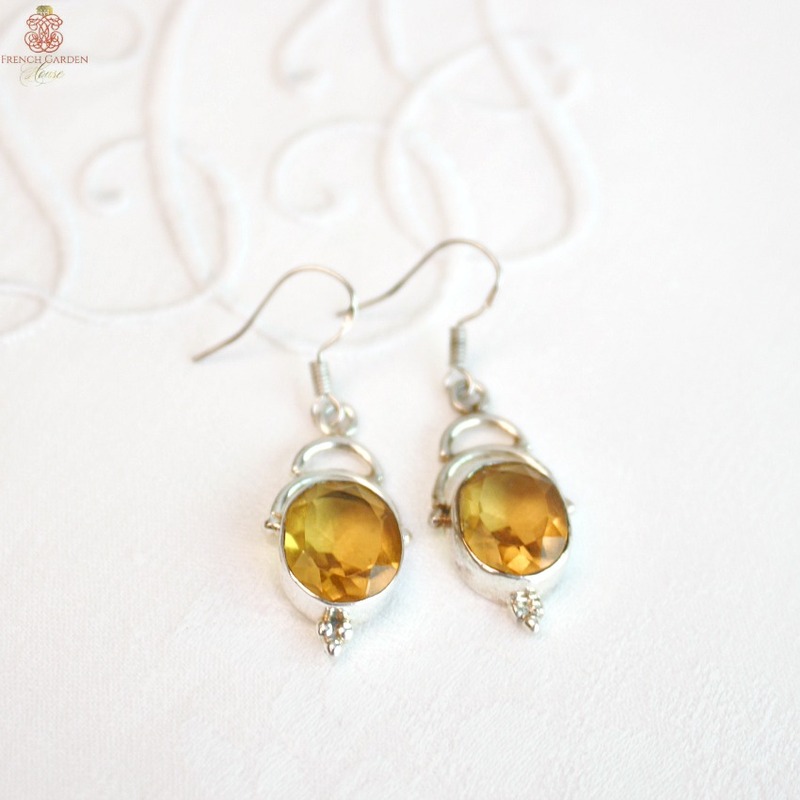 Exquisite Faceted Citrine Gemstone and Sterling Silver Earrings are warm beauties, the color is a soft golden yellow just right to bring sunshine to every day! Meticulously hand created by American jewelry designer and artist H.Kennedy, the setting of sterling silver is classic and modern at the same time. 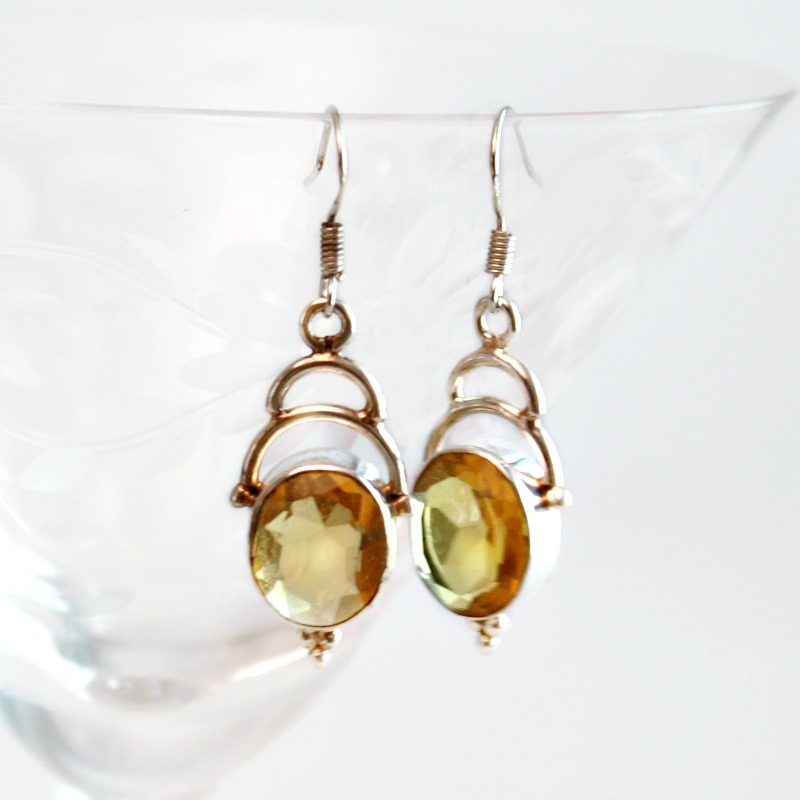 The gemstones hang from sterling silver French wires. 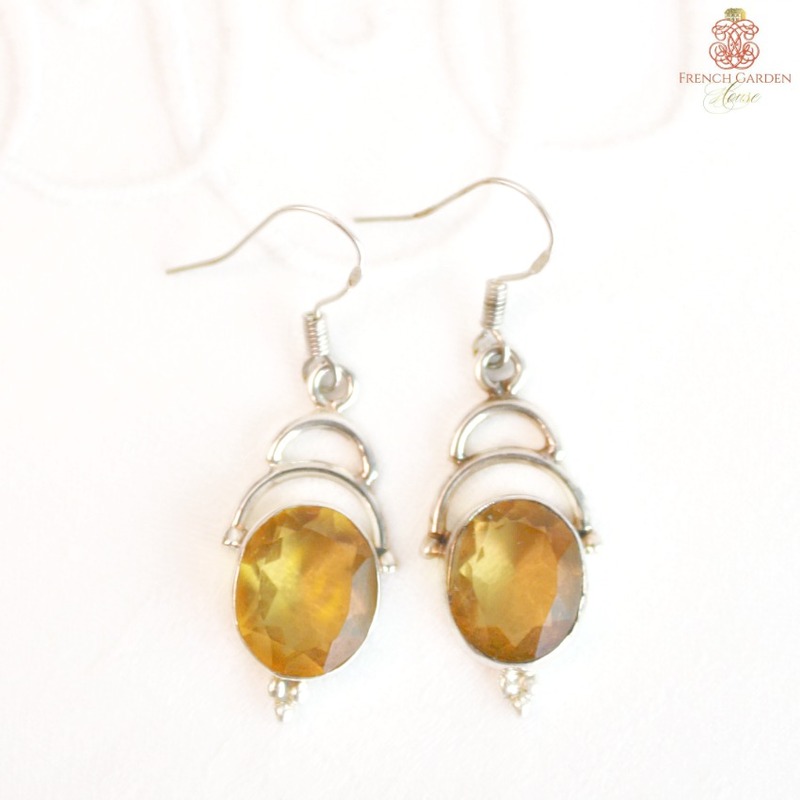 A stunning addition to your jewelry collection or give as a luxurious gift. For those who love to capture hearts, jewelry that makes you shine! 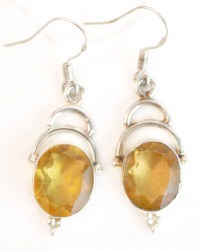 Measure: stones 1/2" x 3/8", earrings are 1-1/2" l.